Greater Manchester Chamber Blog: Member Blog: Brexit – how could it affect Britain’s SMEs? Member Blog: Brexit – how could it affect Britain’s SMEs? 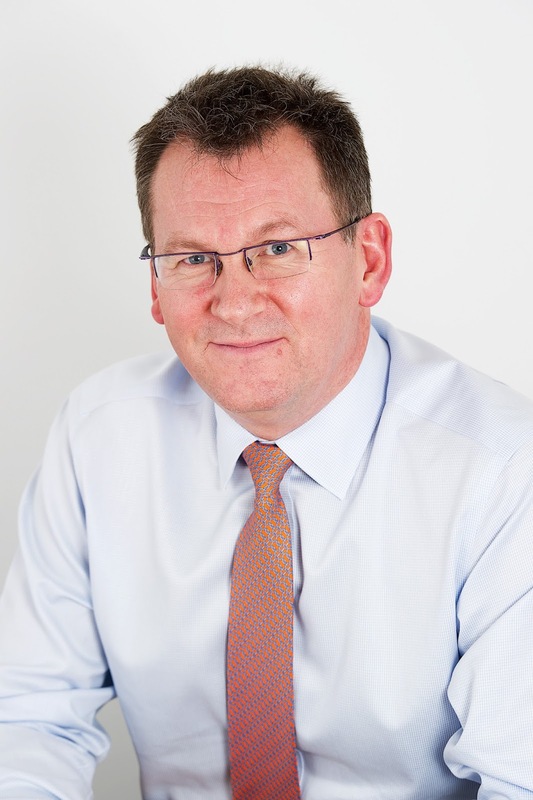 As Managing Director of Davenham Asset Finance, it’s my job to keep an eye on what’s going on in the market that may affect our customers and clients, who are essentially end users of our finance services through broker introductions, made up of SMEs across the UK. A very hot topic in the news right now that seems to have divided opinions is the EU Referendum, and in particular the ‘out’ viewpoint which also goes by the abbreviation Brexit. With the Treasury stating that the country would be worse off leaving the EU; economists overwhelmingly believing that leaving the EU is bad for Britain’s economic prospects and the Justice Minister saying the EU prevents Britain from being able to choose who makes critical decisions, it is clear that no two opinions are the same. 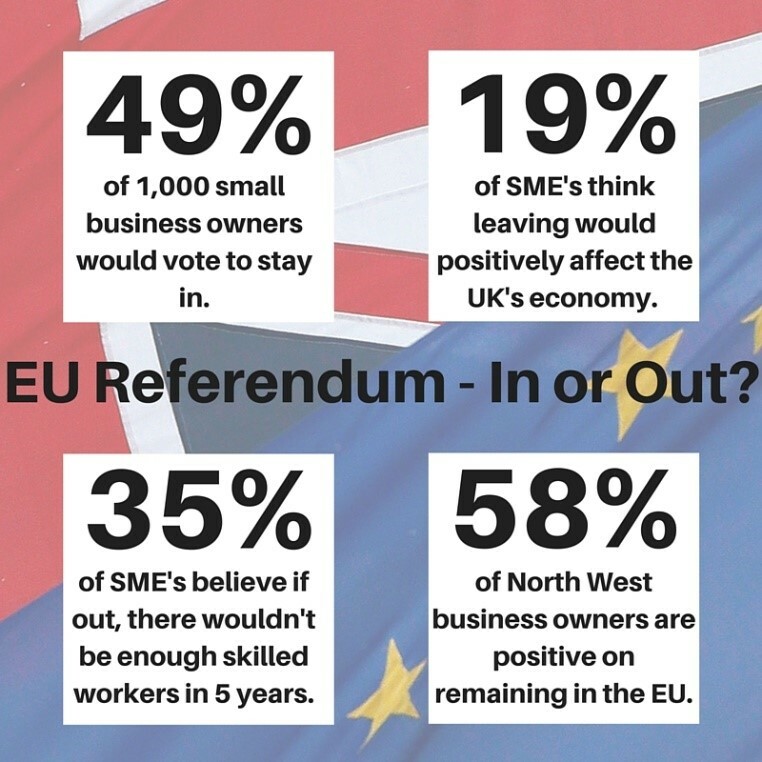 With the referendum due to happen on June 23rd this year, there’s not much time left for business owners to make up their minds. So, we have been looking at a number of leading industry forums such as Zurich Financial Services, The Financial Times, smallbusiness.co.uk and more, to find out what they have to say and have summarised their points below to help you gain a better financial and economical understanding of the effects that the Brexit may have on businesses. According to a study of more than 1,000 SME decision-makers by Zurich, British businesses are still torn on Europe, with 49% of those surveyed saying they would vote to remain in the EU. However, up here in the North West of England, small business owners seem more positive on remaining in the EU, with 58% backing the ‘in’ campaign. How would it affect finance for SMEs? Although the EU does have some SME financing programmes which would no longer be available should Britain leave, these have not had a large impact on SME lending and the UK government could use the increased financial leeway it would have to put similar schemes into place. A large majority of SMEs in the UK export to the EU – a trend which is unlikely to change as selling to distant markets is even more challenging for SMEs. It is likely that small business owners will face greater costs when trading with the EU, as SMEs currently benefit from EU directives, and these factors would reduce profitability and make borrowing more difficult for small businesses. However, leaving the EU might have a long-term impact on the availability of finance stemming from the large external current account deficit the UK has been running, as being a member of the EU makes the UK more creditworthy. This may lead to UK borrowers having to pay a somewhat higher price for credit, with most observers agreeing that the problem is manageable, but the outcome really depends on which future relationship Britain negotiates with the EU. Could it have an economic impact for small businesses? Economic growth seems to be a key concern among British SMEs, with 42% of those surveyed stating that the ‘Brexit’ would have a negative effect on the UK economy within the next five years, and only 1/5 of SME decision-makers believe that there would be a positive effect on the UK’s economy. In general, it seems that economists are wary of transitions, fearing that heightened uncertainty over Britain’s relationships with other countries will damage confidence and in turn, investment, particularly as Britain is exporting around £19billion of financial services each year. If the exit negotiations are favourable, the GDP could rise by 1.6%, but should the agreement be less favourable, it could cost the economy -2.2% per GDP. However, costs to businesses such as pensions will see little change, because they are influenced by the global market and should not affect the UK SME economy. As you can see, there are pros and cons to both sides of the argument, but hopefully this blog and insights from the industry has given you a better understanding of the potential changes and affects they may have on your business. So, are you leaning towards in or out? Let us know on Twitter @DavAssetFinance using #StrongerIn or #Brexit. Very polite and soft spoken customer service as well as incredible and smart guidance for our problems! It was a good experience connecting to them for my work! Recommended to everyone!Coronation I.M. Member Blog: Social Media – Do I have to?